The start of the year has, as always, been extremely busy on the NESU-front in SHS. Our new board had a get-together in the beginning of the year in order to get to know one another a bit better. The new board got their first piece of the action during our first sits of the year, the Annual Ball sits. For this sits, we put in even more effort in the planning and execution, and according to the feedback we got, we did quite well. 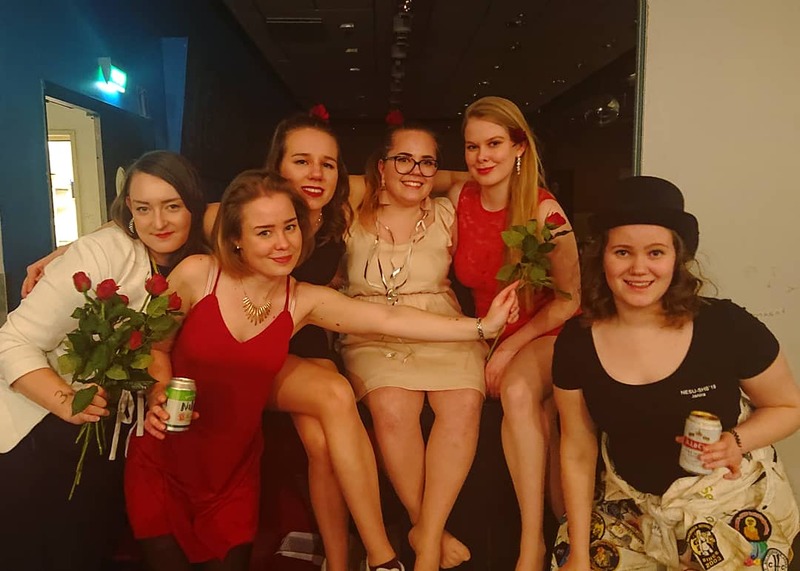 NESU-SHS members have actively been participating in different events around Finland during the start of the year, and we continue to do so, not in the least during Vappurundi, where we will be represented both in the bus by some and on the various sitsiparties by others. Vappu is around the corner, and at the moment we are making plans for celebrating at least part of it together with each other. There have also been negotiations to try to have more collaboration with our newest NESU-family member, NESU-HEBS in the form of a hangout, but we are still discussing the details of when and what.